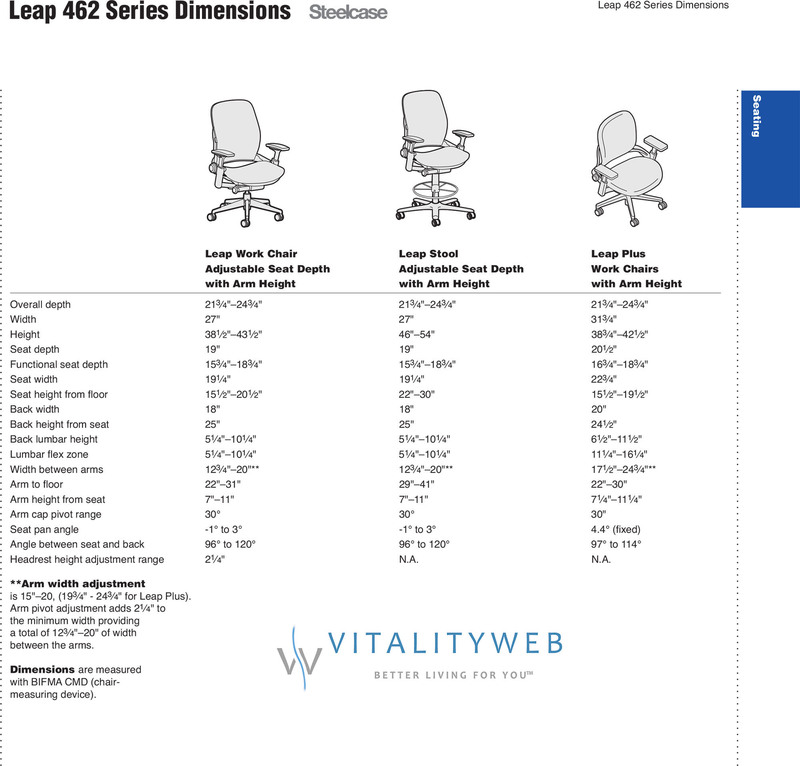 Steelcase Leap Plus Office Desk Chair. The Steelcase Leap Plus Chair. Our body is unique. 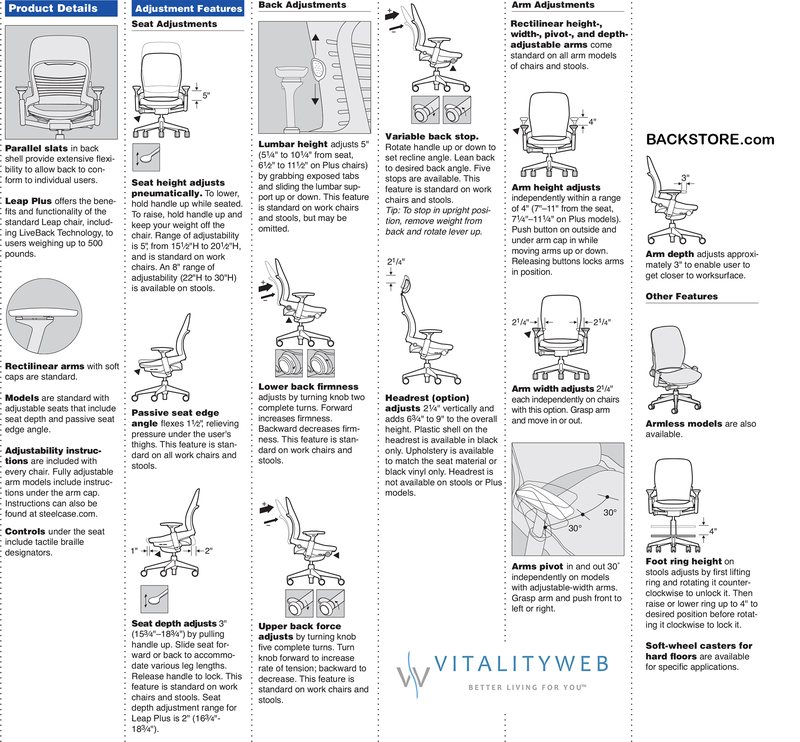 We need a desk chair that easily adjusts to fit us, our preferences and how we work. The Steelcase Leap Plus moves with us throughout the day keeping us aligned with our work. It is simply a healthier way to sit. The Leap Chair is made to fit various body shapes and sizes, Leap reduces the need for multiple chair sizes. A chair that is good for people should also be good for the environment. 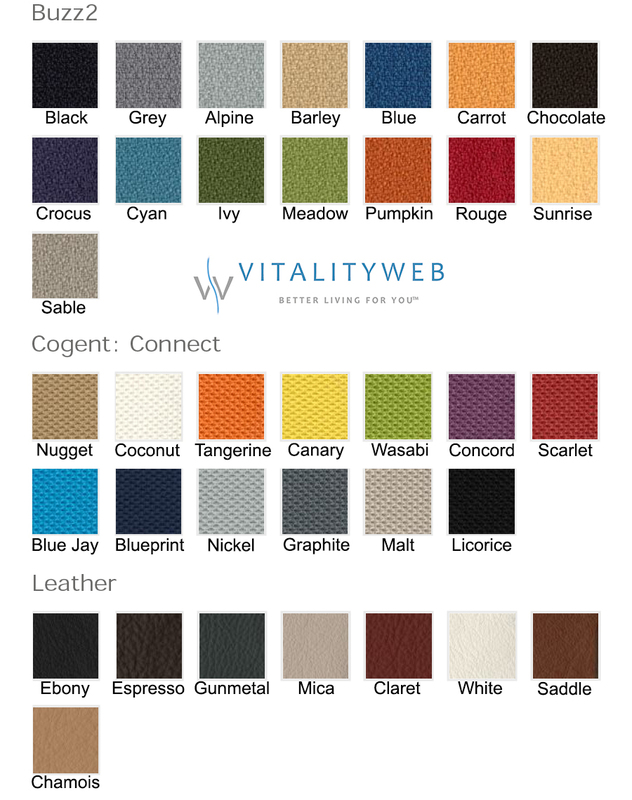 Every material, every stage of a Leap chair�s life, is designed to respect and nurture human and environmental health. One more reason to be comfortable with Leap. Steelcase Leap Plus Plus with a 500 lb weight capacity. 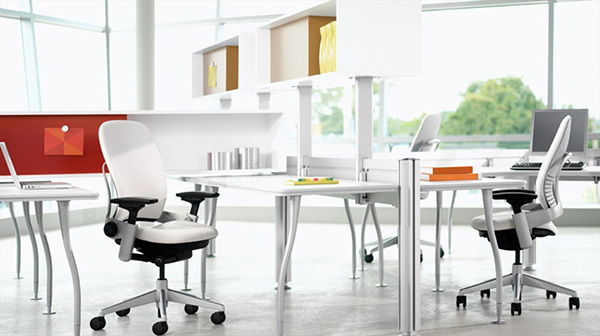 Also available are the standard Steelcase Leap with 300 lb capacity and the Steelcase Work Stool for higher work surfaces. 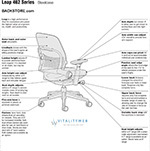 Steelcase's #1 best-selling, ergonomic office chair featuring patentended technology in the seat and back proven to increase productivity. 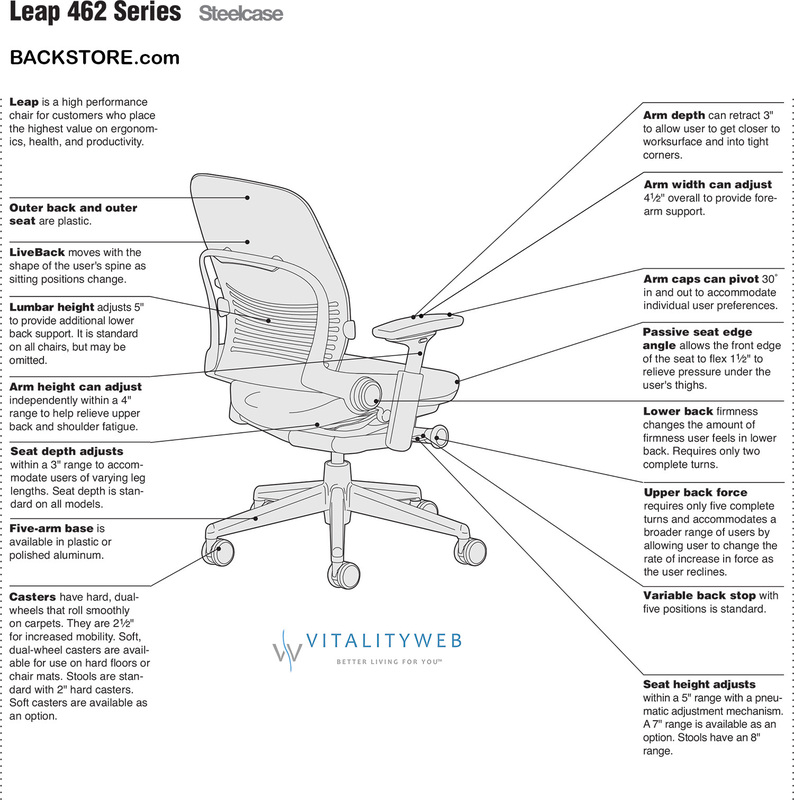 Leap's LiveBack� changes shape to mimic the movement of the spine and supports your body as you move. Natural Glide System� technology enables you to comfortably recline while keeping your body aligned with your work so as not to strain your eyes, neck, or arms. 4-way adjustable arms move in height, width, depth and pivot to better support the neck and shoulders. The Leap Plus is weight tested and warranted up to 500 lbs. with no loss of performance.